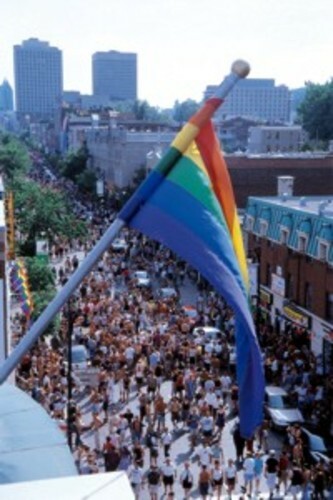 Montreal Gay Info ~ Welcome To Our Proud City ! Montreal's most popular gay internet link destination with an extensive listings directory of businesses and services. With 36+ years of pride & experience ! Your personal gay resource guide and service listings with a library for tips to many details with articles about our fantastic internationally renowned friendly city. We can also be found on the YouTube, GoogleMaps, MySpace, GoogleProfiles, FaceBook, GeoCities, BlogSpot & Twitter networks with more coming in the near future. All this to provide the gay, lesbian, bisexual and transgender community a location on the world wide web internet. Keeping in mind our main focus is the local issues first and foremost about our gay-friendly city. Our service team is committed to share outstanding quality details to help you to also connect with local Montreal gay listings info for more interesting detailed stuff than any other world wide web (WWW) internet link. A proud community service & partner in Montreal (Quebec) Canada ~ Since 1977 ! GAYroute.ca support team along with this website, directly leads you to info about gay-friendly Montréal... ~ "Just imagine meandering through streets of our fun gay city and savouring the clear night sky in the evening..." - as written by The SPY de Montreal in 1999. Start to see why we call it "Our Beautifully Dynamic City" for its citizens and visitors alike. So you can plan your way around and you will want to venture-off to explore the many too ! We are now pleased to introduce GAYroute in more languages, as part of our global development efforts and we're very happy to announce that GAYroute has your personal link to a well known translation service. So whether you use it to rendez-vous online or have a tête-à-tête, GAYroute acts as a liaison between local professional business linked to the world and adding new informational links to the GAYroute travel website every day of the year ! Info gay directory listings for Montreal Quebec Canada. Gai listings répertoire info de Montréal Québec Canada. Informacións listados gay por Montreal Quebec Canadá. We welcome you to visit right here our free local gay community website for Montréal and do take special note any of the click ads are not ours that you see posted on our gay operated website. Take a look at them, then return to this 100% gay community supported website your at right now. Each listed item has been added for your exclusive gay travel needs. As we travel too - we've included more than you might require to enjoy your stay in our very gay-friendly city ! MontrealGayListings.ca ~ Your Directory Info. NB: The services of GAYroute.ca are registered as GAYroute.info and GAYroute.com also many other unique domain names. GAYroute.ca © ~ Our Proud Service ! Since 1977 • We've been informing many visitors with up-to-date gay travel listings about our fantastic city of Montréal and are now happy to offer it to you today. Please enjoy it too ! View and click the 'About Page', in the column to the left of this page, for all kinds of information you will enjoy reading about on your visit or a planned trip to stay in Montréal, Québec CANADA. If you request any other info or gay related help, please contact us at the 'Contact Page' or use the local E-mail service network provided to you. Also new to GAYroute.ca • We have listed on a page our 'Favorite Links' with some other great websites (our private selection & Montréal's weather too). You can enjoy these along with our own service network of local details and information about the "Village Gay". photo: a festive Ste-Catherine E st. gay event and yes we closed the street to traffic for a few days !!! Do you require any assistance to find a room or lodgings ? Check-out this gay owned & operated service for more details. Include your name, phone, exact In-Out dates, number in party and budget details. Are your plans to visit here all arranged yet ? EN: Once your message has been accepted and received, it will be sent to our customer service team for analysis. If your message bounces back to you or you cannot reach us immediately, please try again later or store your message for further examination. Report all major bug problems to our main Email address at all times. Note that characters with accents do not register in the system properly and may look out of place, once they are translated. So refere to the English text by placing your mouse over the already translated text. Thanks. FR: Une fois votre message a été accepté et reçu, il sera envoyé à notre équipe de service à la clientèle pour l'analyse. Si votre message rebondit à vous ou vous ne pouvez pas nous rejoindre immédiatement, s’il vous plaît réessayer ultérieurement ou stocker le message pour un examen plus approfondi. Rapport de bug tous les grands problèmes de notre adresse e-mail à tout moment. Notez que les caractères avec accents ne s'inscrivent pas dans le système correctement et mai regarder hors de propos, une fois qu'ils sont convertis. Ainsi, fait référence au texte anglais en plaçant votre souris sur le texte déjà traduit. Merci. SP: Una vez que su mensaje ha sido aceptada y recibida, será enviada a nuestro equipo de servicio al cliente para su análisis. Si su mensaje rebota de nuevo a usted o usted no puede llegar inmediatamente, por favor, inténtelo de nuevo más tarde o almacenar el mensaje para un examen más profundo. Informe de errores todos los principales problemas a nuestra dirección de correo electrónico principal en todo momento. Tenga en cuenta que los caracteres acentuados no se registra en el sistema adecuadamente y puede parecer fuera de lugar, una vez que se han traducido. Por lo tanto, refere al texto Inglés colocando el puntero del ratón sobre el texto ya traducido. Gracias. Thanks for visiting & enjoy your stay ! *NOTE: We try to update our main listings almost regularly during the year. If you do not find what you are seeking, let us know today. Last update: Saturday 03 August 2013. 1. I am of legal adult age in my area of the world and understand that I must leave this site now if not. 2. Plus I understand that this site I am about to enter may contain gay adult explicit content or messages. 3. Also gay community content does not bother me, nor do I plan to use it legally or illegally against anyone. 4. By entering and clicking on the links above on this home page, I accept all responsibilities and agree not to hold responsible the providers, owners and creators of this website for any consequence or damage that could occur due to the access and/or the use of any section or area listed on any of the GAYroute.ca service websites. As I have read here now and is listed here on this home page area. Note: If you are having trouble accessing our or any other website from anywhere, please ensure that all of your cookies are enabled on all of your browsers and clear all your computers caches at the same time. Happy surfing on our site today ! The GAYroute ™ iñ•fö service team plus our staff members are very eager to reply to your present inquiry about Montreal, Quebec, Canada. To help us direct your detailed inquiry most effectively - please read the text below, then send us all the required details and more if you can provide them all in your first Email message. Most questions are generally responded to within a few business day but if your request is URGENT - please mention it in the Subject Box of your Email message you are sending right now or today. All quiries are treated in the order that they've been received and processed by a human-being ! Your #1 source for iñ•fö that's gay ! The finest directory for our gay and gay-friendly community of Montreal, Quebec, Canada. La premiere annuaire de notre communauté gai et gai-amical de Montréal, Québec, Canada. If you have any questions about any of our GAYroute ™ iñ•fö sites, please feel free to contact us. Please include your complete name and location, a night time phone number with codes and your detailed inguiry as mentined above. We are always looking for ways to better serve all of our community members around the globe, as YOU are all very important to us ! As the name GAYroute ™ iñ•fö, is our copyrighted logo plus the associated domain links and all designs are registered trademarks of GAYroute ™ iñ•fö network services worldwide and in Canada. All other trademarked names are the property of their respective owners. Use of the listings and details on GAYroute ™ iñ•fö for any type of commercial or illegal purposes is strictly prohibited. Our rights are strictly reserved for all media matters with online website internet searches.